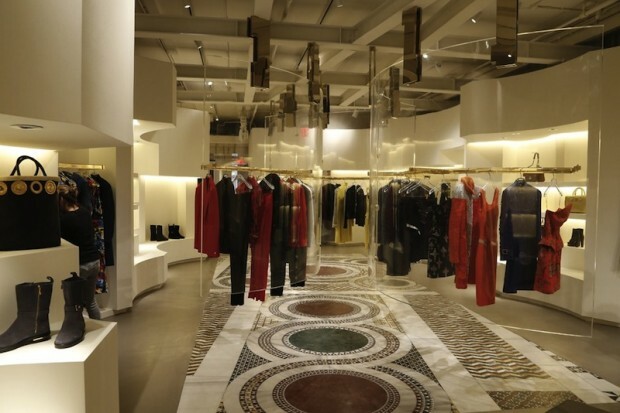 New York City’s throbbing downtown pinnacle, Soho, is about to get even more hip, thanks to a new Versace concept store that officially debuted in the trendy enclave on Monday. 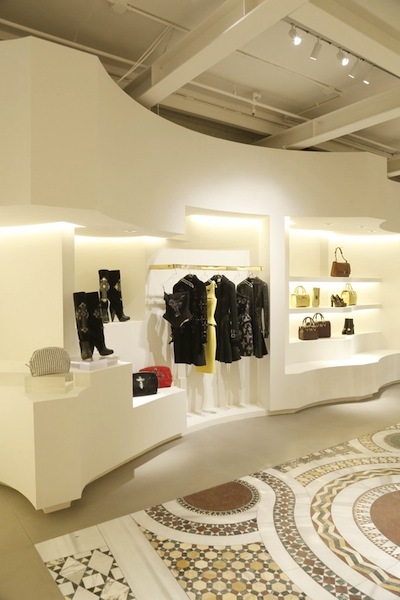 Donatella Versace has consistently expressed her love for the Big Apple and now she can satisfy her palette with the birth of a new artsy space on Mercer Street. It should prove to be a thriving Mecca when you consider the bohemian vibe that permeates through the connately thriving neighborhood. This momentous event will also be heralded in a scholarly way to exaggerate the eternal vitality of the globally recognized fashion house. A slew of designers, curators and artists have been skillfully selected to translate their unique interpretations of the luxury brand in a way that will instinctively appeal to the masses. The highly-anticipated project will no doubt enhance the brand’s already interactively accessible market. As for the store’s inventory, you can expect a healthy selection geared towards both sexes, including decadent accessories, and fundamentals for the home. The gorgeous layout is courtesy of British architect Jamie Fobert, whose vision was concocted from images steeped in ancestral codes and hymnal magnificence. If you happen to find yourself skipping along the charming cobblestones this Wednesday, perhaps you can consider crashing the reception.